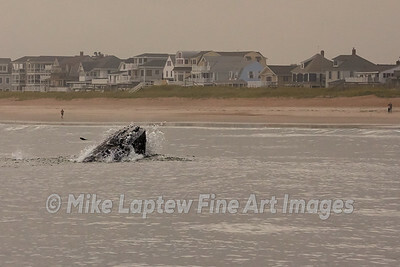 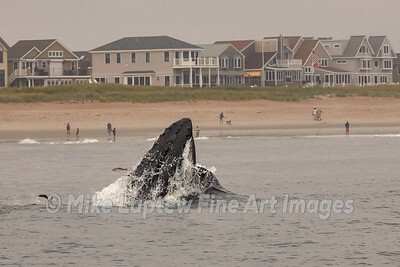 This juvenile, humpback whale exploded out of the water as it fed on adult menhaden. 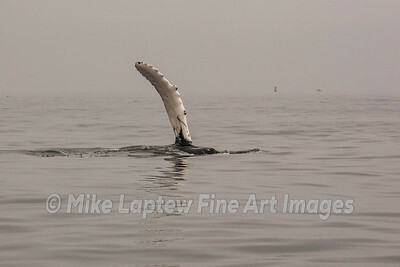 Humpback whale waves its pectoral fin as it makes its way through the fog. 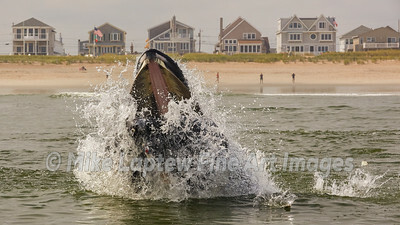 The mouth of this whale bellows out as it swallows a school of menhaden. 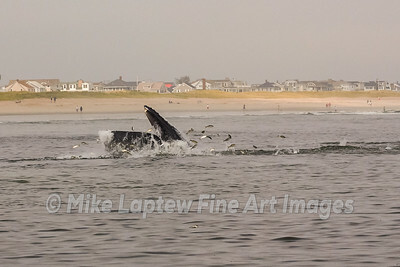 One lone menhaden survived the attacking whale. 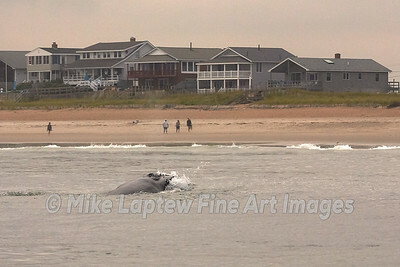 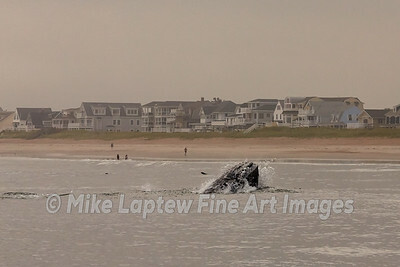 Alternative view showing a different portion of the beach and home behind the whale. 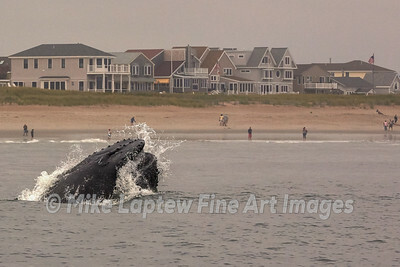 Humpback whale feeds right on the beach in only 10 feet of water. 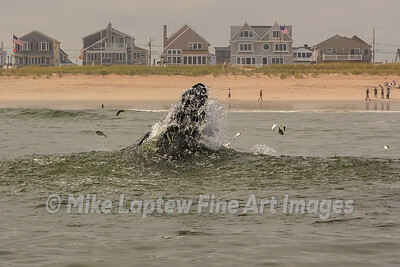 Erupting out of the surf at amazing speed, this humpback whale sprays menhaden in all directions. 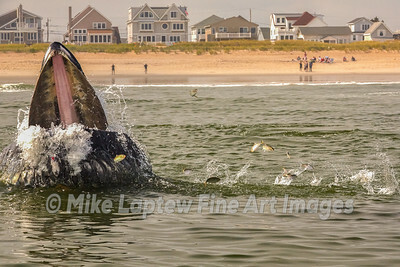 A school of menhaden panic as the young whale scoops up great numbers of fish with its cavernous mouth. 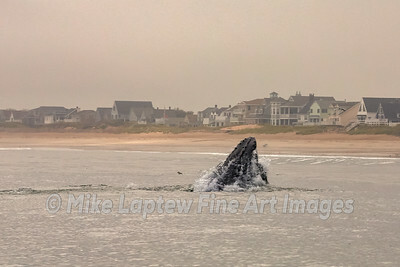 Some folks were captivated by the feeding whale, however, others were oblivious to the leviathan feeding a few yards away. 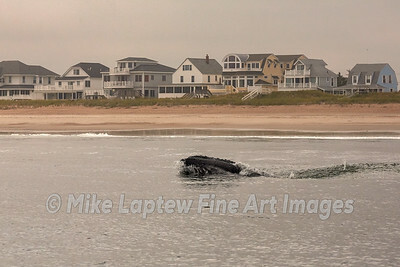 Following the trough line, parallel to the beach, the whale would rocket along the shoreline at great speed. 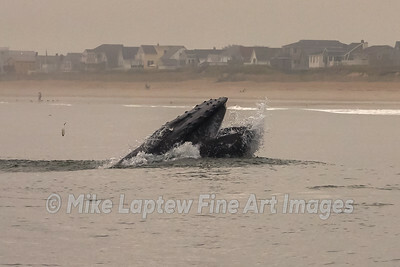 When the whale's mouth clamps shut it squeezes so fast and hard, water sprays out in mist and droplets. 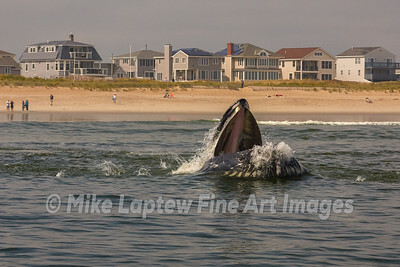 There's nothing subtle about a feeding whale.